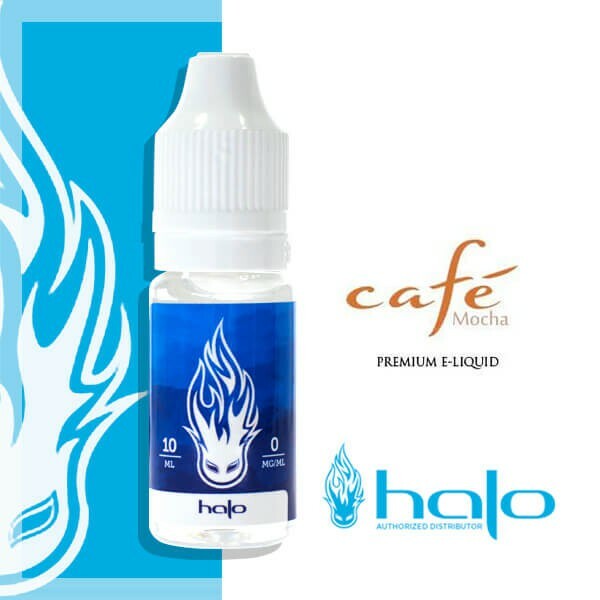 The e-liquid Café Mocha (Moka) from Halo offers a mixture of savoury flavours on a cappuccino base with notes of subtle Moka and Hazelnut. This Moka Coffee e-liquid offers a very good hit coupled with an abundant vape for pleasure which is rarely worth waiting for. For the image like all e-liquids for the Electronic Cigarette, products by Halo, the e-liquid Café Mocha is imposed like any other premium controlled products. Gourmet and Powerful, it will give you the occasion to vape in serenity and complete your breakfast over a cup of coffee. "Pas encore testé en goût"
"Très puissant en bouche, parfait pour toute la journée." "Très bonne saveur en bouche"